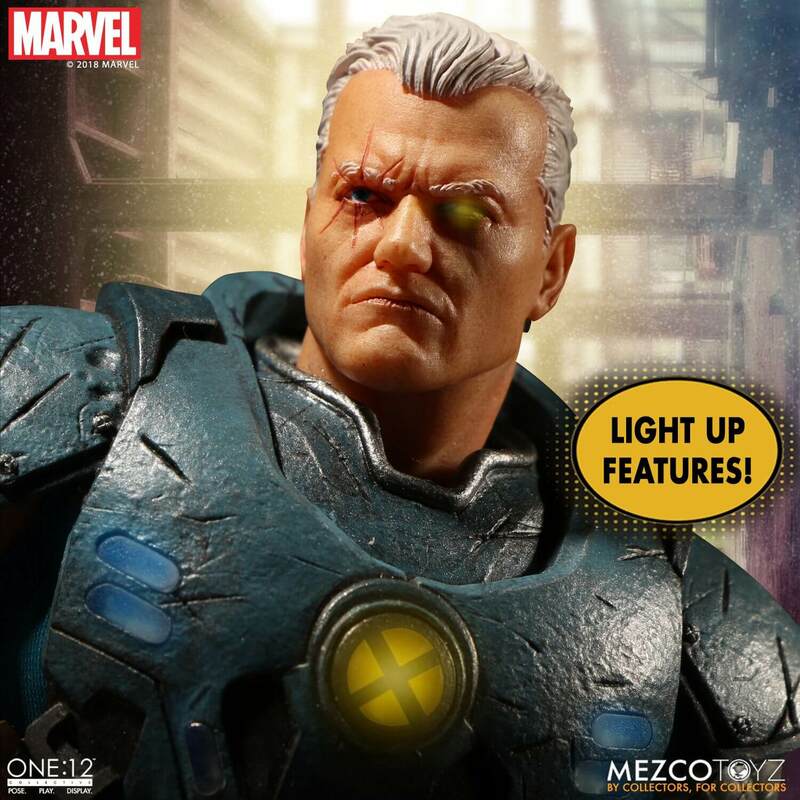 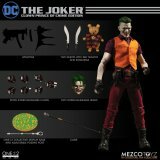 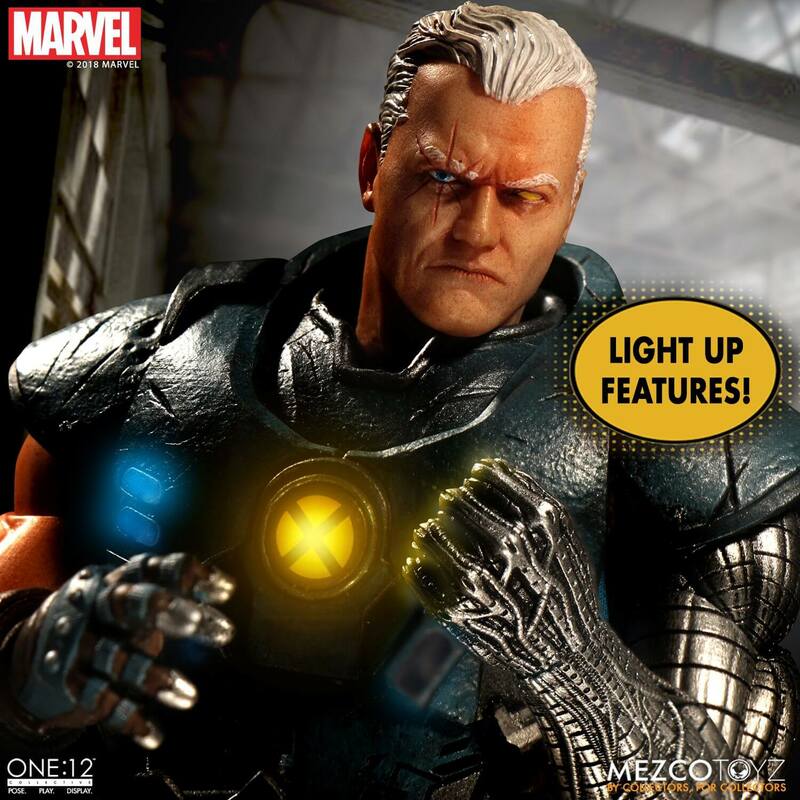 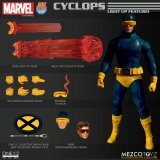 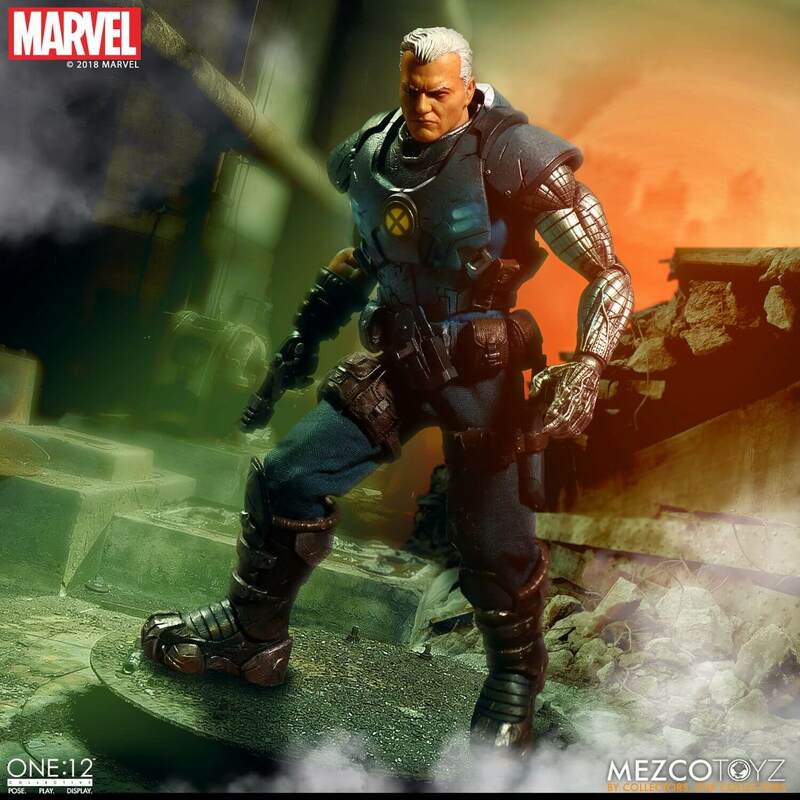 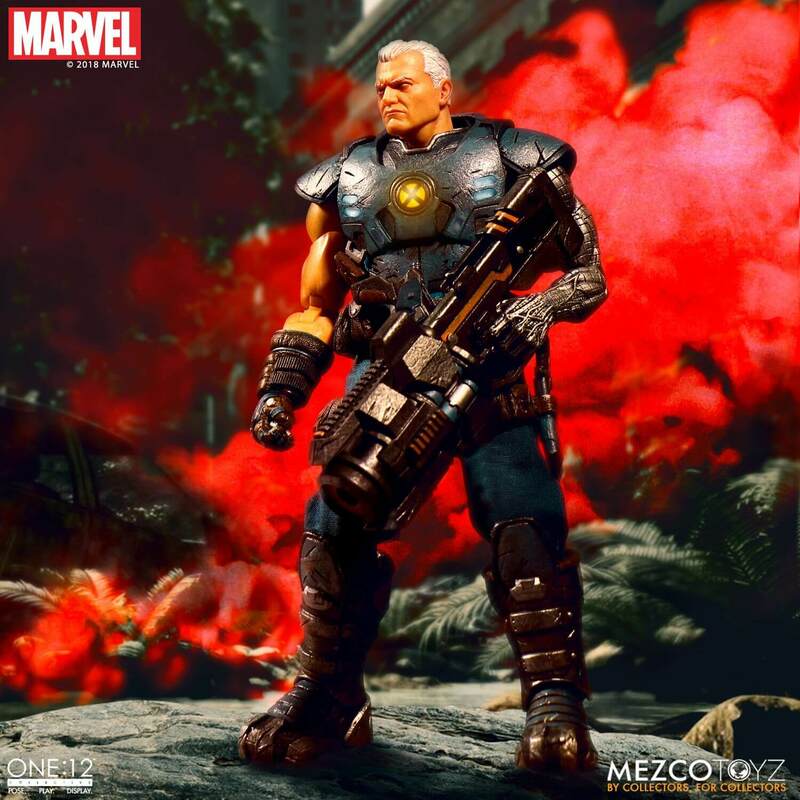 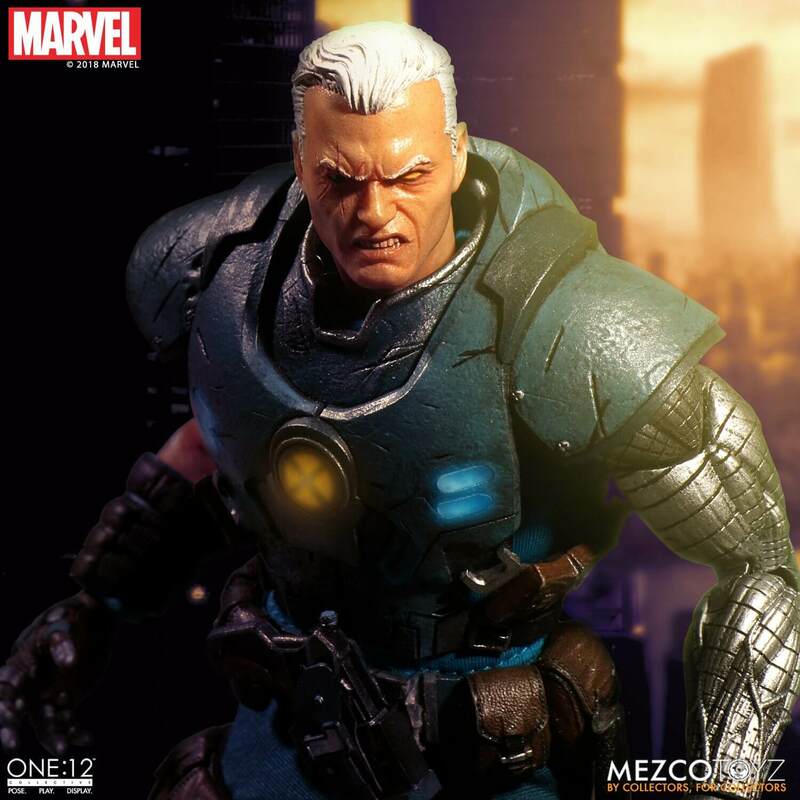 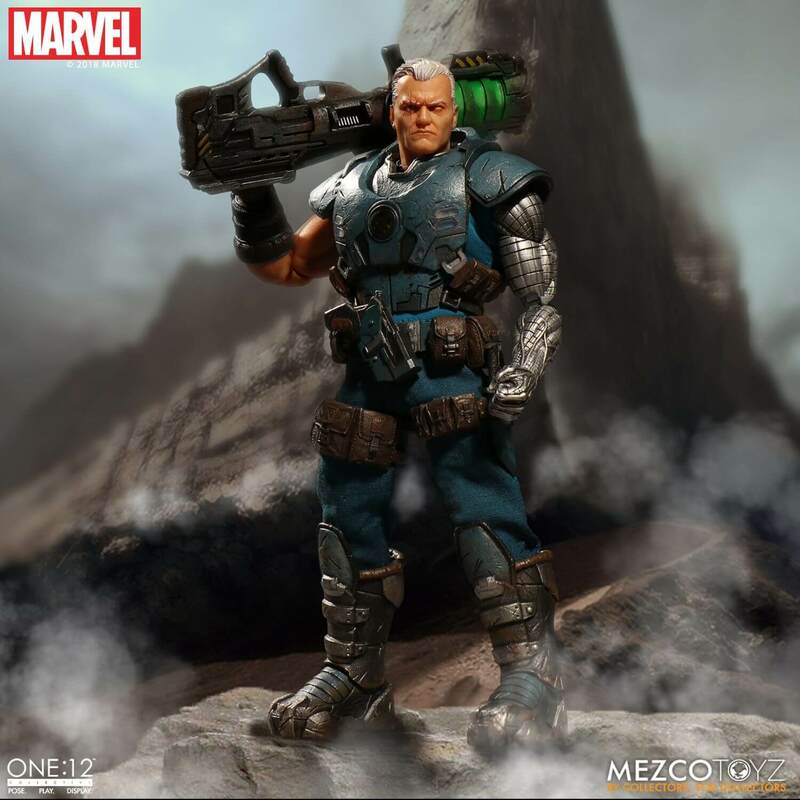 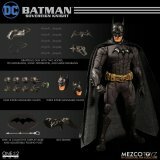 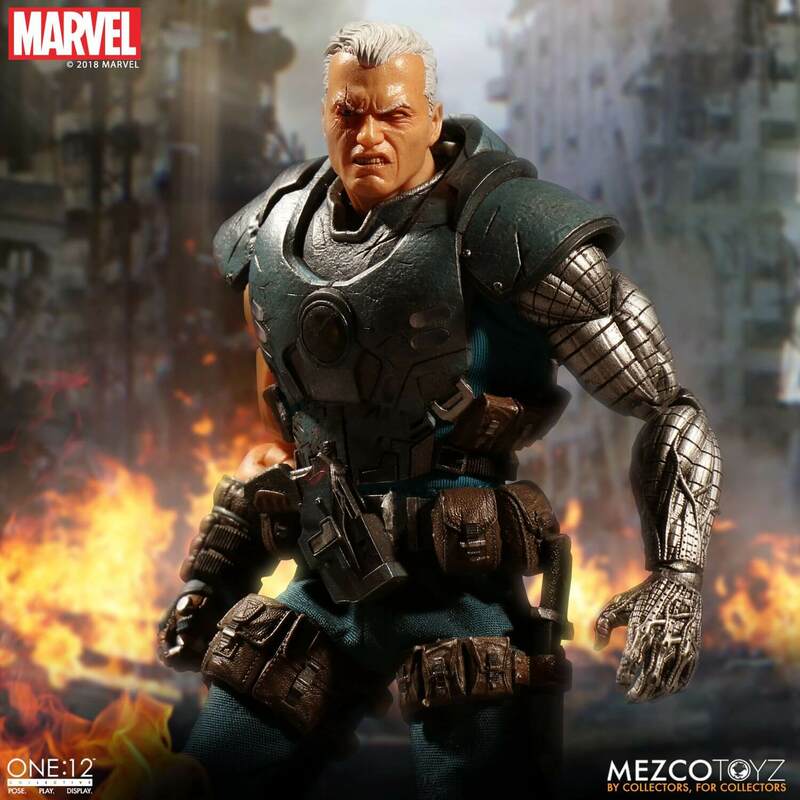 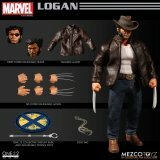 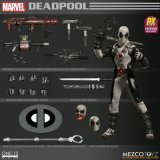 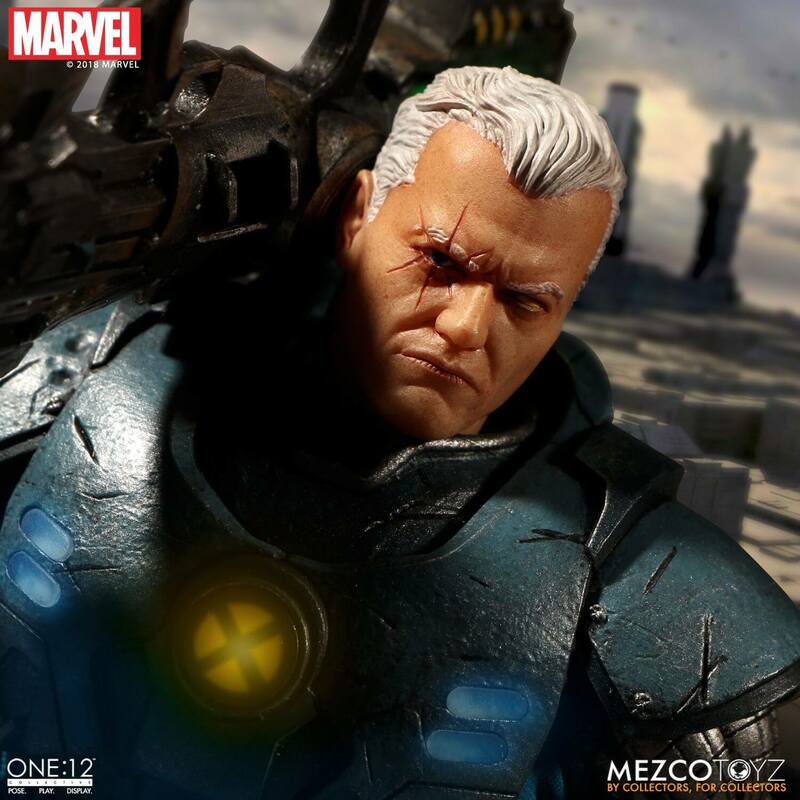 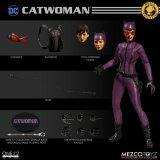 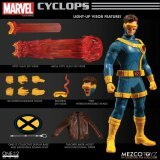 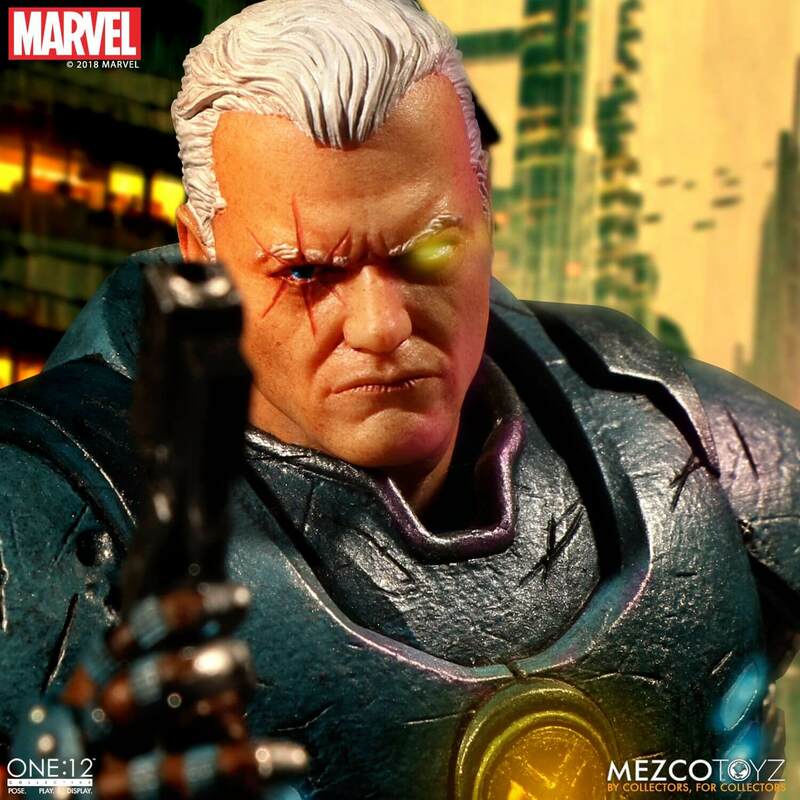 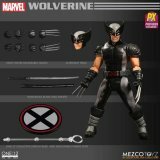 The Mezco One:12 Collective Cable features a light-up function that illuminates Cable's chest armor and techno-organic eye in both of his head sculpts. 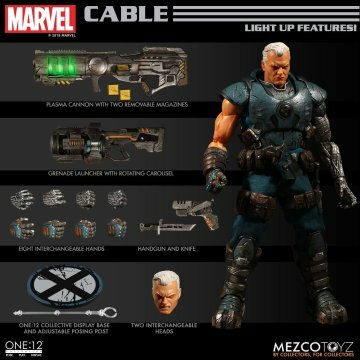  The One:12 Collective Cable features a newly sculpted cybernetic arm and is outfitted in a sleeveless shirt with chest armor, duty belt with gun holster, and a leg holster with knife sheath. 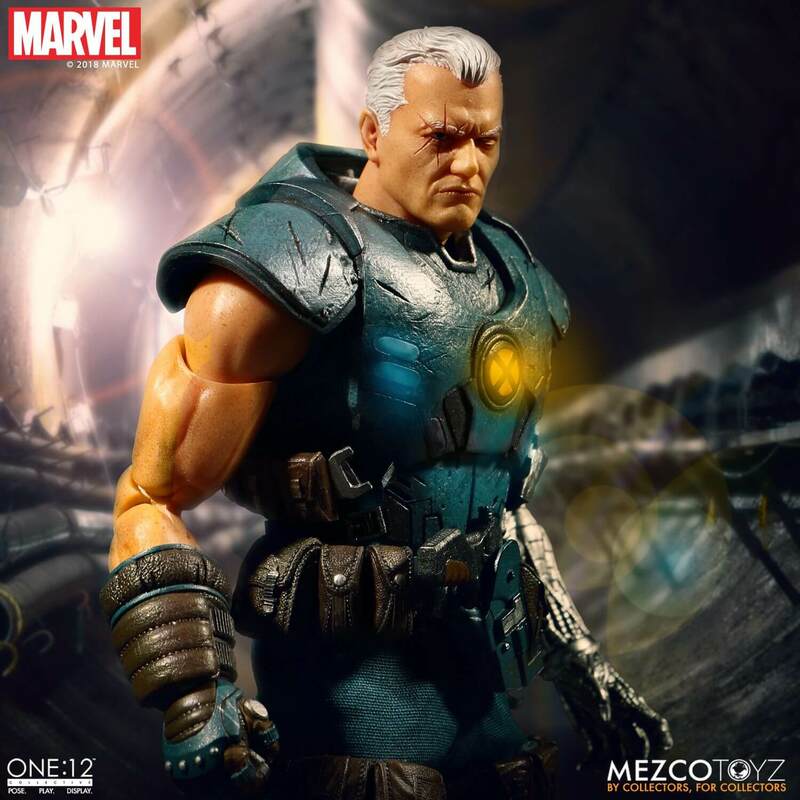 Cable was sent to the future in a bid to save his life when he was infected by a techno-organic virus. 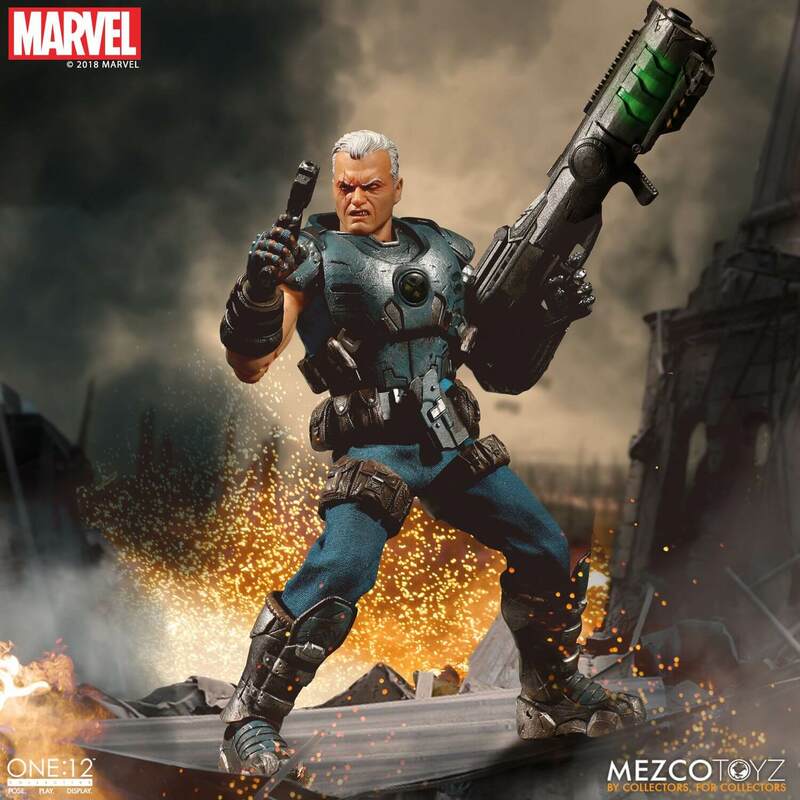 Using his formidable telekinetic abilities and cybernetic enhancements, Cable battles super villain foes in his quest for peace. 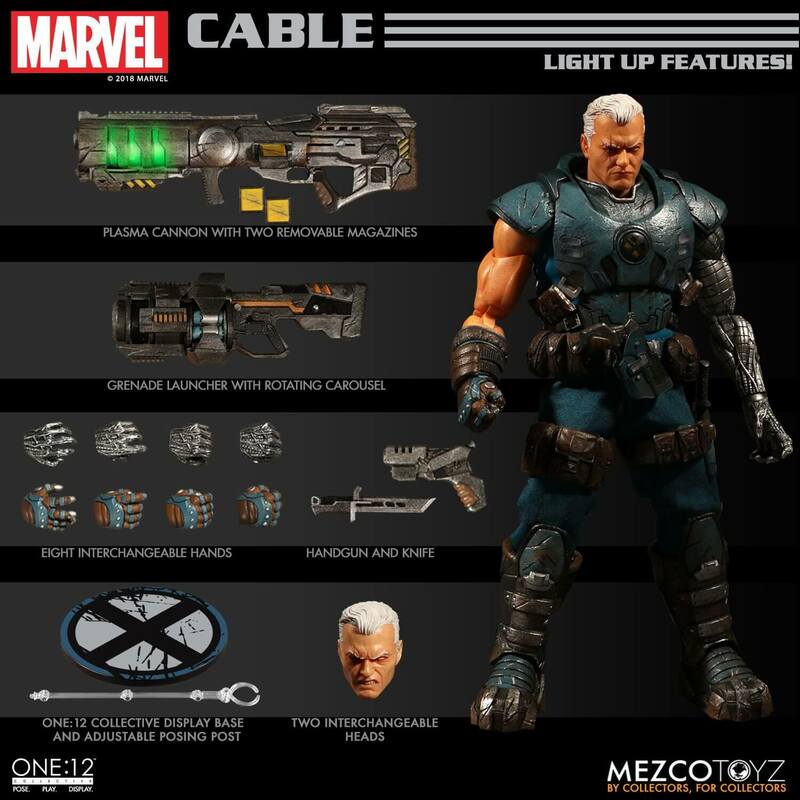 Each One:12 Collective Cable figure is packaged in a collector friendly box, designed with collectors in mind.